Do you have what it takes to stand perfectly still for minutes at a time? What about standing still in unusual positions? 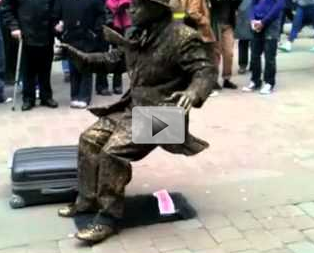 The following video is a clip of one amazing human statue who can freeze in the most awkward positions. And the cool thing about it? While frozen, you would never know he was a fake. Check it out.